Contrary to our high school history books, Christopher Columbus was (probably) not the first European to reach the Americas. The honor is commonly believed to belong to one Leif Erikson, the intrepid Viking explorer from Iceland who is believed to have arrived in North America almost 500 years before Columbus, and also established the Norse settlement at ‘Vinland’ (a location which is estimated to be around present-day Newfoundland). The very name of this site refers to the abundant grapes growing there, and the perceived fertility of the land. Now from the archaeological perspective, researchers had tried for centuries to find the exact location of the so-called Vinland. But they were only partially successful in 1960 when the site known as L’Anse aux Meadows (in the northern tip of Canada’s Newfoundland) exhibited evidences of a Viking settlement that may have equated to Leif’s American settlement of Leifsbúðir. The site focused by satellite imaging. And now researchers may have just located a second settlement of the Norsemen in North America, thus suggesting a network of Viking colonies. 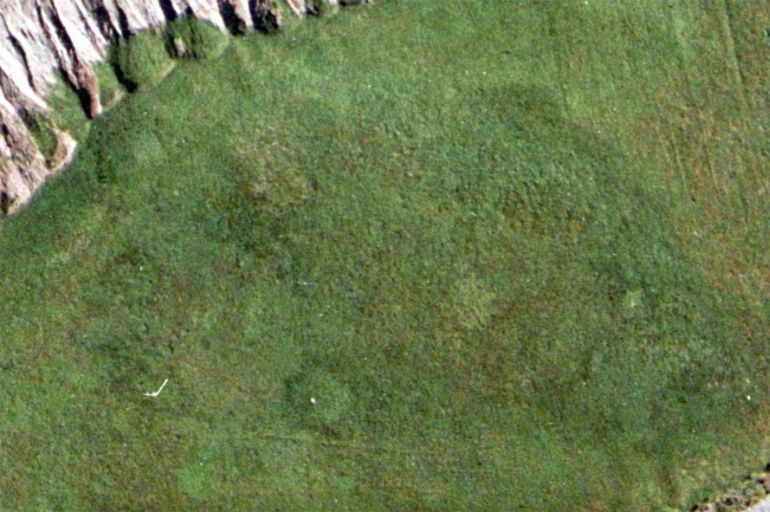 This ‘identification’ in question was actually made last year with the aid of satellite imagery, and as such the momentous discovery is attributed to space archaeologist Sarah Parcack, who is also an assistant professor from the University of Alabama. To that end, the pertinent infrared images were taken from a satellite positioned 643 km (400 miles) above Earth, with the focus being given on a particular site dubbed Point Rosee, situated by the southwest coast of Newfoundland (300 miles south of L’Anse aux Meadows). Parcack has talked about how she identified potential ‘hot spots’ within this focused region. And one of these spots showcased a darkened variety of vegetation from above that suggested some man-made influences. Encouraged by such signs, a team (including Parcack) was dispatched to the site for some test digging and analysis. 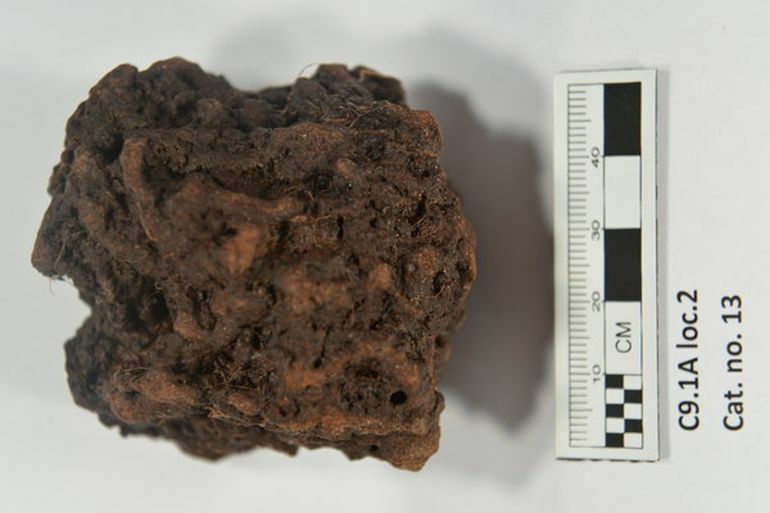 Intriguingly enough, the team were already encouraged by magnetometer readings that pointed to elevated remains of iron in the area. In essence, this certainly alludes to metallurgy that the Vikings were famous for. 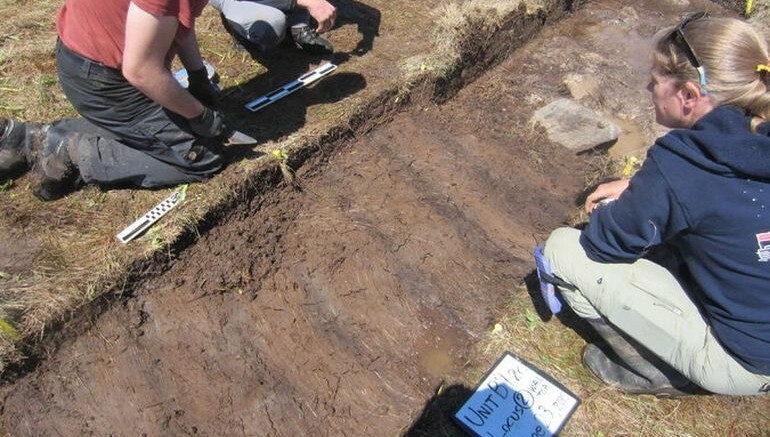 Moreover, test diggings have also revealed turf walls (akin to Norsemen constructions) that are accompanied by ash residue, roasted ore or bog iron (pictured above) and a boulder showing signs of heat. Radiocarbon analysis has further revealed how most of these remnants hark back to the Norse era, thus suggesting the handiwork of Vikings in Point Rosee. However, in spite of such seemingly credible allusions, many experts have advised the researchers (and enthusiasts) to exercise caution. This is because there have been previous cases of spurious claims that connected Viking presence in the North American continent. So in other words, we just have to wait for a few more months until the deeper excavations take place that could potentially confirm the ‘holy grail’ of a second Norse settlement in America. In that regard, the team is already looking forth to continue with their detailed assessments and surveys on the site. And while we history aficionados play the waiting game, we can take a gander at the PBS NOVA documentary on Parcak’s work that will air on 4 April 2016. Did the Irish reach the New World before the Vikings and Columbus?